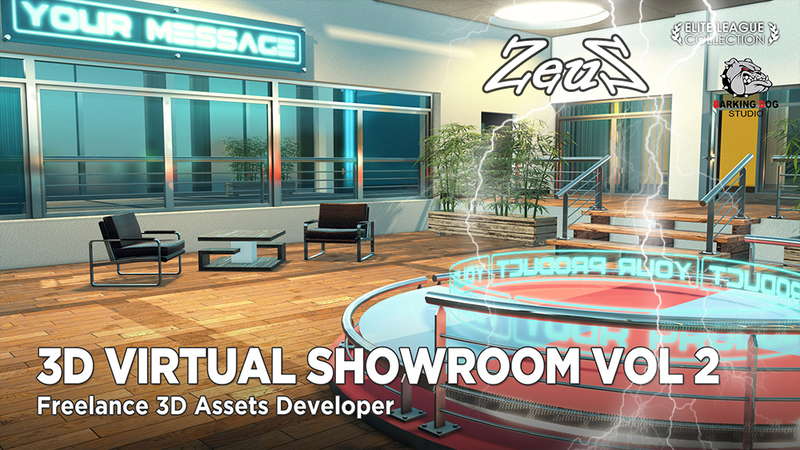 Description: This COMBO package is intended for easy and fast construction of a 3D Virtual Showroom movie set. Wall assemblies, furniture and props are all pre-positioned and can be moved around and/or saved as individual props and/or removed from the scene to leave room for proper camera take. Each Prop is designed with the highest standards using a low polygon count, high resolution textures and PBR shader maps for maximum user experience. 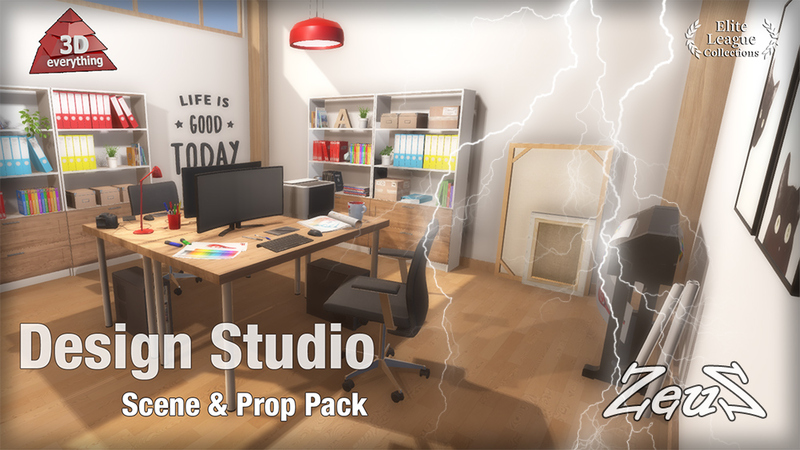 Description: This beautiful library is licensed directly from Persistant Studios - the original PopcornFX designers, and it has been especially compiled by the Reallusion team to showcase powerful combined effects and versatility when using the PopcornFX Editor. MAGIC: From fantasy to sci-fi, from game to storytelling, the power of magic has never been overlooked. 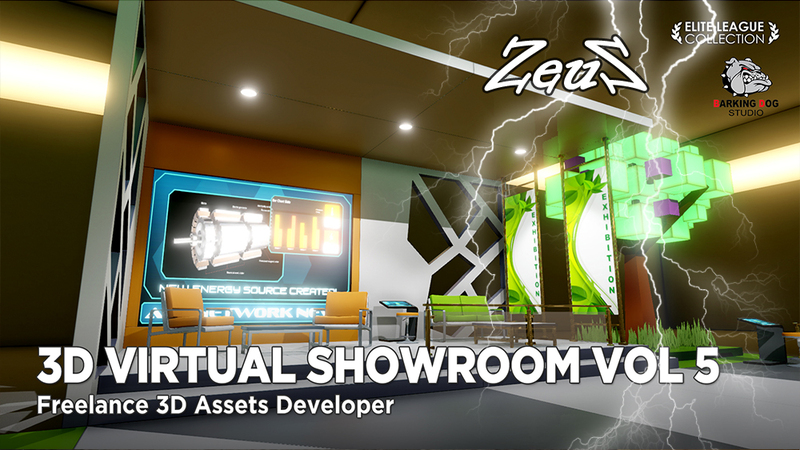 With these magical effects you can cast magnetic lighting spells, hypnotize with ribbon fluxes, or even customize your own trailing demons from 3D meshes. NATURE: A flickering flame or volumetric smoke can easily replicate our natural world in 3D, helping you bring any animation to life. You can spawn ants and butterflies which can stay on a designated mesh, scatter disturbed leaves on paths, or shed realistic rain with bouncing droplets and ripples. WEAPONS and EXPLOSIVES: Creating impactful action scenes cannot be done without weapons & explosives. Try these explosive effects and combine them with firearms complete with muzzle flashes, bullet projectiles, vortexes, bullet holes and bouncing debris; or generate heavy explosions that bounce things away with burning ashes. VFX: These VFX utilities make any mesh or image, instantly perform particle wonders. From Digital Timers, Dynamic Music Props, to Melting Meshes and Bokeh lens effects, there is so much more you can now do with these particles. 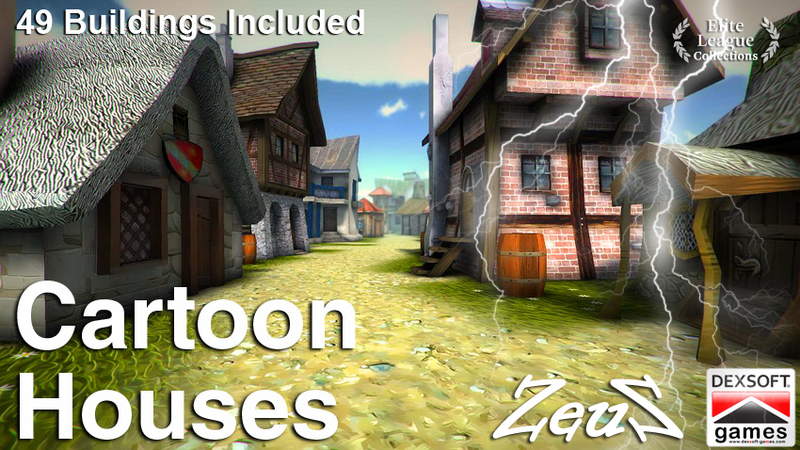 Description: This pack includes 49 cartoon buildings which include, shops, houses, shacks, huts and various other buildings. Also included are a few other props to help you set up your ideal Toon Village. Be sure to check out all the incredible buildings included by looking at "Details". This product page only allows for previews of 9 buildings but the 49 included give you incredible value. 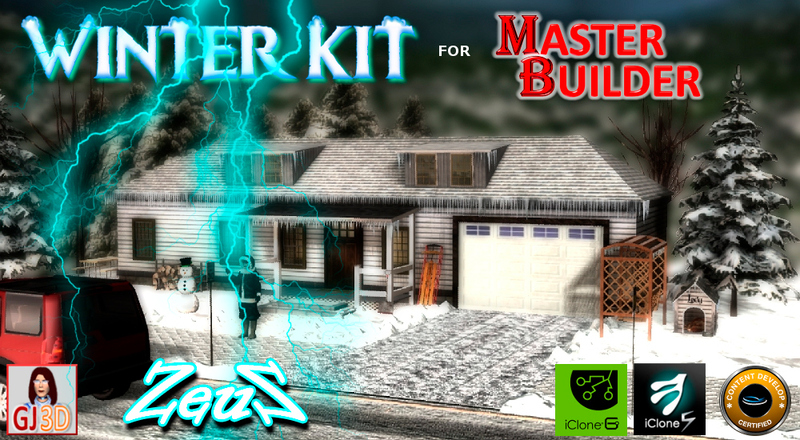 Description: Winter Kit allows you to instantly change your Master Builder scenes to a chilly winter theme. Now you can easily maintain continuity from one season to another for all your projects! Every porch, portico, roof & roof extension section has been winterized to include snow & icicles. There are 2 wintery terrains (one with light snow & the other with full snow) plus a wintery background. Also included are special "wintery" decor items for the yard & terrain. There are even 2 winter trees included - an evergreen and a bare broadleaf. The pack includes additional icicles, so you can "winterize" other items from your inventory. Everything has been built & textured to give a truly authentic feel to your winter scene. The picnic table has a coating of snow & ice with frosty iciles hanging from the edge; there's a happy snowman for the front yard, along with a frozen wood pile, a snow shovel, a flexible flyer sled, even lady's doghouse has been winterized. 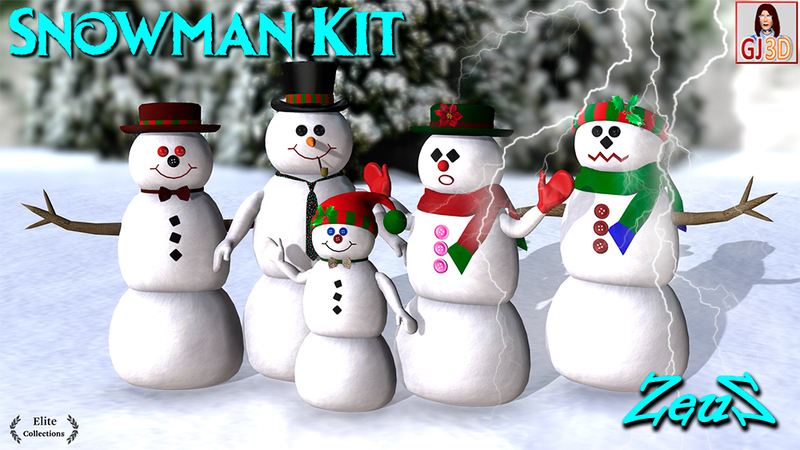 Description: This Snowman Kit has everything you need to make a variety of snowmen. Once you have all the items you want on your snowman, select all of the props and then in the modify panel attach them to the snowman base. After this step, you can scal your snowman to any size you desire. There are hundreds of combinations you can use to create a wide variety of snow people. 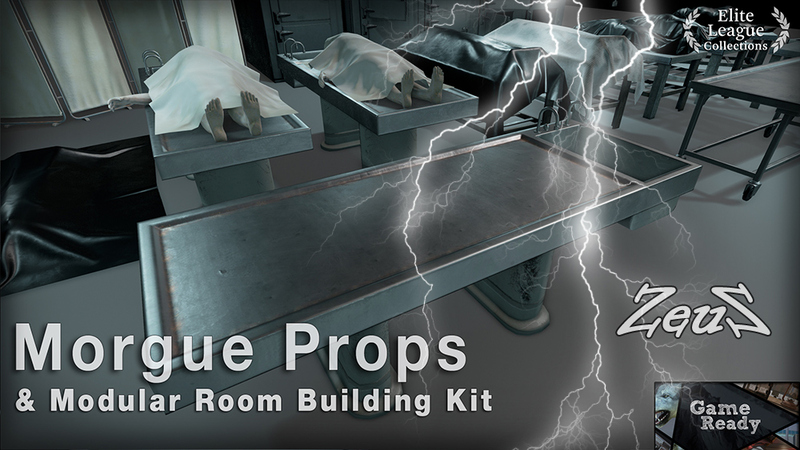 Description: This pack contains several props typically found in a morgue. Quickly set up a morgue or hospital horror story. As well as body bags, autopsy table, freezer and other props, you get a modular building kit for quickly and easily creating your scene. Several floor pieces and wall pieces including corners, three sided tiled make it simple to put together a room as required for your project. 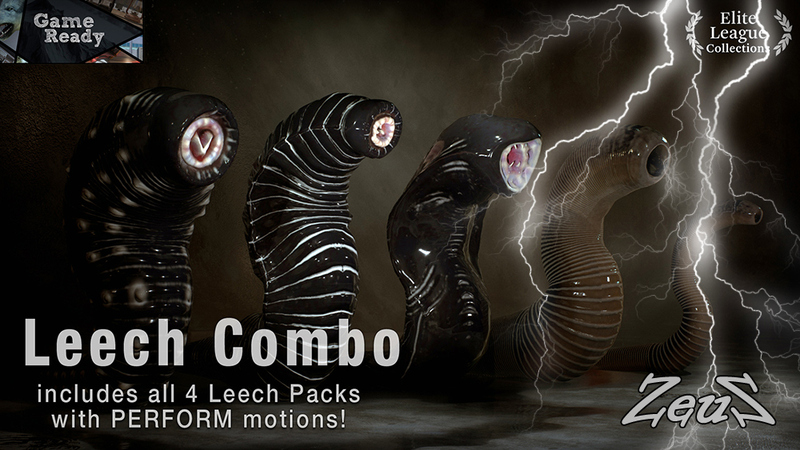 Description: This combo pack includes 11 different leeches as follows: Thin Leech, Leech, Heavy Leech (3 designs), Armored Leech (3 designs), Fanged Leech (3 designs). All with PERFORM motions - at least 31. Easily replicated on the stage by "Selecting" a leech on screen, use the arrow Move keys while holding down the control button and drag right to duplicate the leech. 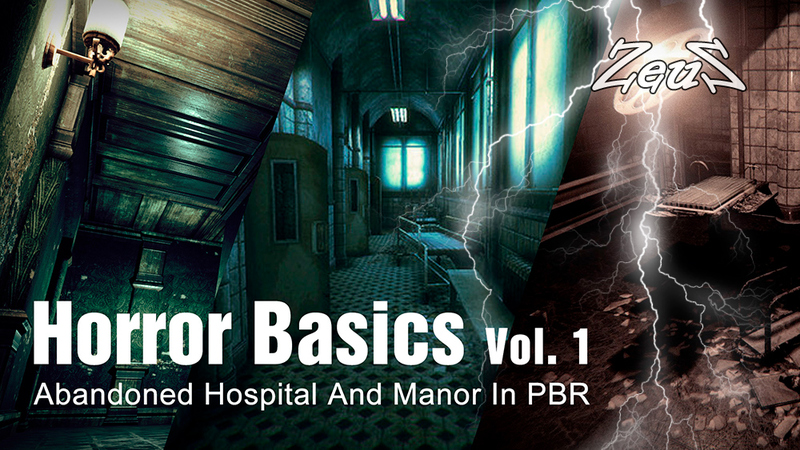 Description: High quality PBR texturing visually enhances the look. This combo pack truly has the makings of a "Great Horror Scene". This is the complete interior of a deserted hospital sadly neglected. It includes a series of rooms on 3 levels which are joined by Hallways and corridors with Elevators going down to the Morgue. It is supplied as a full scene prop with each room supplied as a subprop. 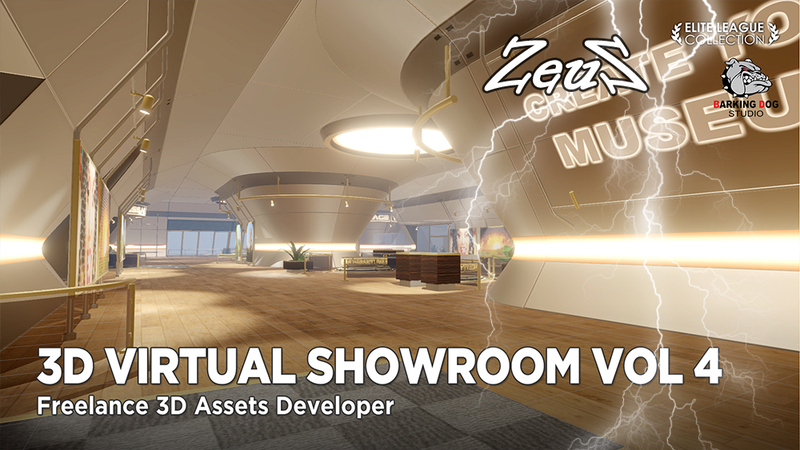 There is also a folder of individual furnished room props so that you can add just one or two rooms that will line up for the sake of your scene and preserving computer resources by only loading the rooms needed at a time. Single props are also provided in a separate folder to further decorate the rooms or for use in your own projects. All doors can be animated on the timeline, set on proper pivots. Several pieces of furniture with drawers and cabinet doors can also be animated. Operating lights are set so the lights can spin or tilt. Elevatar doors can be animated on the timeline to open and close and the elevator car can be animated to move to all 3 floors. Some morgue drawers and doors can be opened/closed on the timeline. Abandoned Manor Interior is a complete interior of a old manor house in shambles with dusty furniture, ripped wallpaper, worn out walls, etc., as if abandoned for many years. It includes several rooms, hallways and staircase passages allowing for moving from one area to another of the house. Ideal for horror stories, halloween or other forsaken storylines. Exterior of the Abandoned Manor is a complete outdoor scene with fences, plants, rocks, trees and lamps. It consists of: Manor Exterior Scene, Rocks and Plants surrounding the manor and 2 Flat Terrain options. 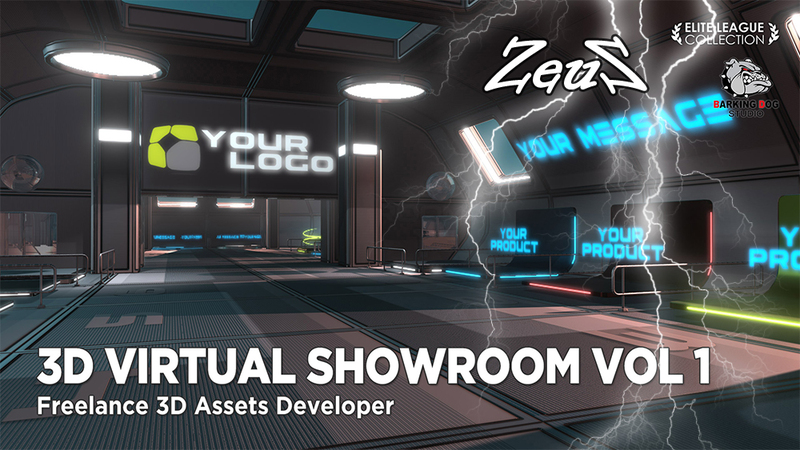 Description: This is supplied as a complete Design Studio with Walls, Ceiling and Floor all set up as subprops. Items against walls are attached for quickly and easily hiding. 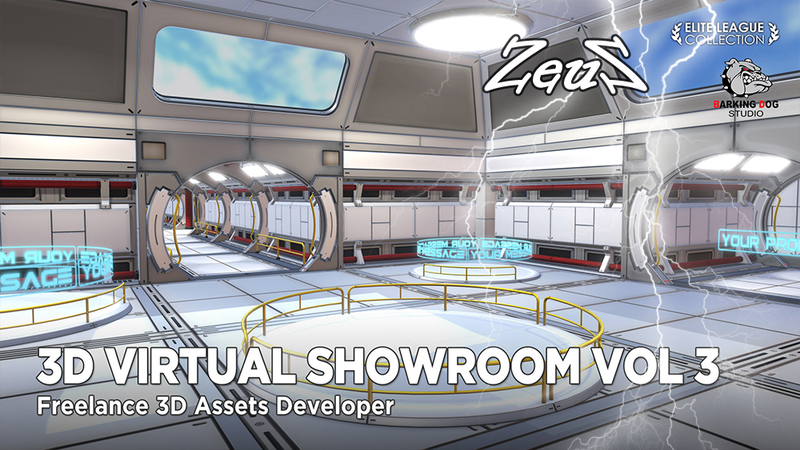 You also get all the single props for adding to the scene or for use in your own projects. The Entrance Door is animated with a PERFORM menu for Opening and Closing the door.